Win one of 5 pairs of super comfortable Merrell MOAB 2.0 MID GTX boots in our Merrell MOAB Giveaway. 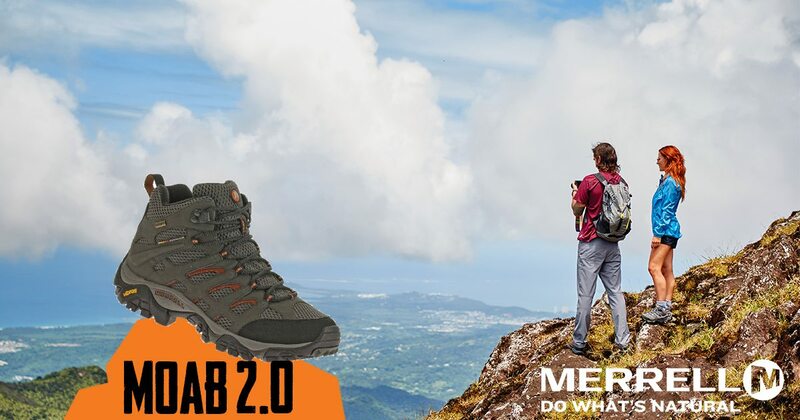 To launch their new range of boots and shoes for autumn 2017, the good people at Merrell have given us 5 pairs of Merrell MOAB 2.0 Mid GTX boots to giveaway. The MOAB range, which stands for “Mother of all Boots” has long been a core part of Merrell’s hiking range, coming in a wide range of models, low, mid, vented, goretex etc but all the while offering excellent comfort and dependable grip. 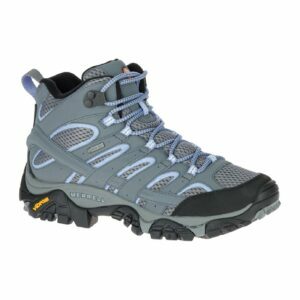 Experience out-of-the-box comfort in this Gore-Tex® hiker from Merrell. With durable synthetic leather, a supportive footbed, and Vibram® traction, the Moab 2 Mid is a versatile package. -Make it through rain with ease thanks to Gore-Tex waterproof coverage. -A Merrell M Select™ FIT.ECO+ blended EVA footbed provides contoured foot support and cushioning, while the rubber toe cap provides a barrier between feet and rough terrain. 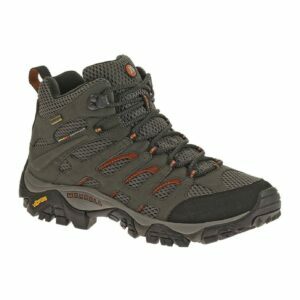 -A Vibram® TC5+ outsole with 5mm lugs lends this wet weather hiker its grit. So, now that you’re interested, what do you need to do to win one of these pairs in our Merrell MOAB Giveaway? Read the form below and give us some details. The following are the terms and conditions of the Great Outdoors Merrell MOAB Giveaway. Your participation in the competition shall be deemed to be your complete acceptance of the terms and conditions herein. •All entrants will have their email address added to ours and Merrell’s mailing lists. To unsubscribe in the future, simply use the unsubscribe link in any of the emails you receive. •The winners will be announced via social media channels on Monday, October 16th. •Closing date for all applications is Midnight on Sunday October 15th 2017.